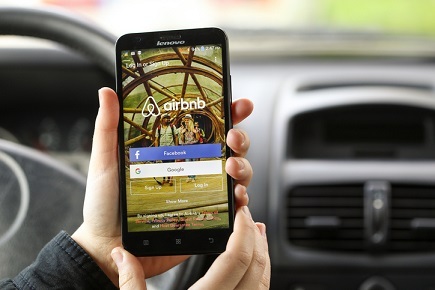 A New York City law aimed at cracking down on home-sharing companies is too vague to stand, a lawyer for Airbnb Inc. told a federal judge in a bid to have the ordinance put on hold during a court challenge. The law contains no protections for data privacy or guidelines on whether the information can be shared among city agencies, Roberta Kaplan, Airbnb’s lawyer, told U.S. District Court Judge Paul Engelmayer at a hearing in Manhattan Friday. Engelmayer didn’t immediately rule on the request for an injunction. The City Council voted 45-0 in July to prevent people from renting their apartments to tourists -- a practice the city says raises rents, increases gentrification and disrupts neighborhoods because short-term rentals can be more profitable than long-term leases. Under the law, Airbnb and similar sites must share the names and addresses of renters with the city and say whether rentals are for a whole apartment or just a room -- disclosures that would help the city enforce a law that makes it illegal for most landlords to rent an apartment for fewer than 30 days. The San Francisco-based company says the disclosure law violates their hosts’ privacy rights. "The very murkiness of the regulatory regime here should give the court concern," Kaplan said. Karen Beth Selvin, an attorney for the city, said Airbnb hasn’t been cooperative and has fought every subpoena the city issued. She said the city doesn’t want to bring thousands of cases into courts against Airbnb over its data and that the law gives regulators discretion in determining whether a violation has been committed.